What to do when your Airbnb is wrecked by AirPnP or your FlightCar has its wings clipped. For those worried about opening up their homes or cars, many of the share rental services offer extensive coverage against damage. For instance, Airbnb, RelayRides, a car sharing rental service, and FlightCar, which rents out vehicles parked at an airport to other travelers while its owner is away, all offer property coverage of up to $1 million. OutTraveler: What are some steps I can take to minimize my risk before I rent out my car or home? Shane Skinner: Use a reputable service like Airbnb, Dwellable, Car2Go, Zipcar, etc. that include insurance as part of the rental process. Also, check the prior reviews of whomever will be renting your property, capture condition of the property at the time of exchange, and ensure these records are time/date-stamped so the evidence is rock solid. OT: What step should I take after I realize some damage has been done? SS: That depends on whether you took stock of the property condition prior to rental. But the first step would be to capture the damage digitally. Then, if you used a service, you can reach out to them for advice and determine who will contact the renter who caused the damage. Always ensure a reputable vendor is used to make repairs for damages, and most states allow the owner to choose their own vendors for repairs as opposed to a vendor mandate by an insurance carrier. OT: Now let’s flip it around. As someone renting out another person’s home or car: what kinds of research should I do to make sure I’m getting a property/vehicle that lives up to my expectations? SS: Reviews really help – look for what real travelers have said about the property or vehicle that you are getting. Less than a handful of 5/5 stars could be trumped up, so the more reviews the better. If you can get a mix of Yelp/Google/TripAdvisor reviews, for example, that will also paint a more accurate picture of what to expect. Correspondence with the owner beforehand, if you want more information, photos, etc. will also help ensure you know what you’re getting. OT: If I damage my rental car or an item in my home rental, what are the best steps to take to resolve the situation? SS: Own it…damage happens. Being forthright and honest may net out in a better place… who knows, maybe the homeowner wanted to get rid of that sofa (which you spilled wine on) anyway! If you hide the damage or fight it, that’s when you may find yourself in a conflict situation which frankly isn’t good for anyone, given the time, anxiety, and money involved. Unfortunately, there’s no discount for honesty…but owning it will help you avoid negative personal reviews and lengthy/expensive damage disputes or legal battles. OT: Anything I can do to prevent claims that I damaged a car or home when I know I didn’t? SS: This scenario of being held responsible for damage you didn’t do happens every day. The best way to protect yourself against this is to ensure you do a thorough walk-around and inspection of the property when you arrive, or of the car before you leave the lot. If you see damage, bring it up with the owner right away, even if you think it may be too small to bother with. 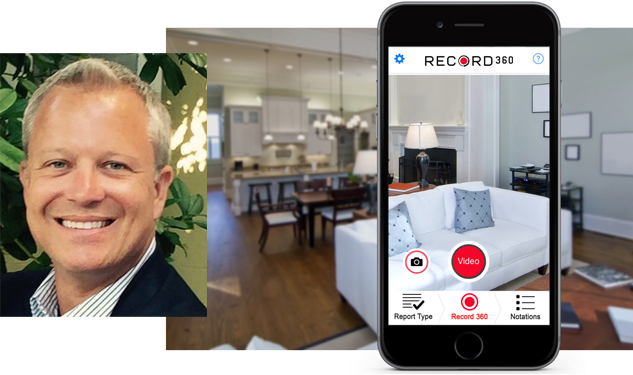 Many people take pictures with their phones, and for even better security, apps like Record360 combine high-quality capture of property plus time- and date-stamping for an indisputable record of condition.